At its core, distilling whisky is a simple process. After fermenting grains into a low proof wash, it is simply a matter of separating alcohol from water. This is done in a still by exploiting the different boiling points of the two substances. However, from the fermentation time and the yeast, to the shape of the pot still and the speed of the distillation, there are many important details that give a new-make spirit its character. Another such detail is when the distiller selects the type of condenser that is attached to the copper pot still. This can be either a traditional worm tub, or a modern shell-and-tube condenser. So what are worm tubs and shell-and-tube condensers exactly, and how do they work? Most importantly, how does each of them affect your whisky? 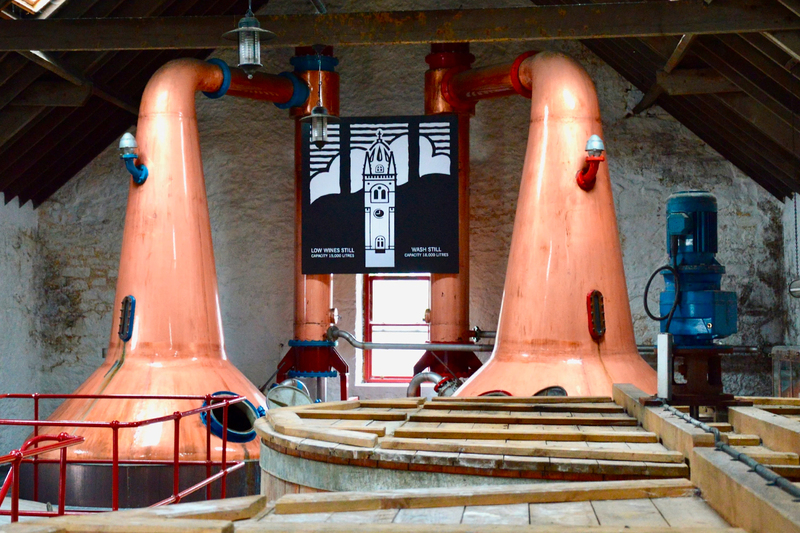 There’s a reason pot stills are made from copper. It’s not just due to its malleability and heat conductivity, but foremost because copper is vital to certain chemical reactions. Copper helps remove sulphur compounds, while also contributing to the formation of esters, which are super important flavor compounds. Worm tubs and shell-and-tube condensers are largely made of copper. Both pieces of equipment have exactly the same job: cooling the alcohol vapors and condensing them back into liquid form. However, the end results can be altogether different. The worm tub was invented in the 18th century, but less sophisticated versions of it were in use long before. A worm tub is an extension of the lyne arm, which finds its way through the exterior wall of a distillery, and coils into a tub filled with cold water. From there it runs back to the spirit safe, where the spirit cuts are made. The copper coil can be up to 100 meters in length. Therefore you might think that the vapor has a massive amount of contact with copper. Quite the contrary, actually. Oftentimes, the water in the tub is kept at a lowered temperature to allow the vapor to liquify more quickly. As a result, it doesn’t spend much time in contact with copper at all. This results in a new-make spirit that is generally quite meaty and sulphuric (in a good way). 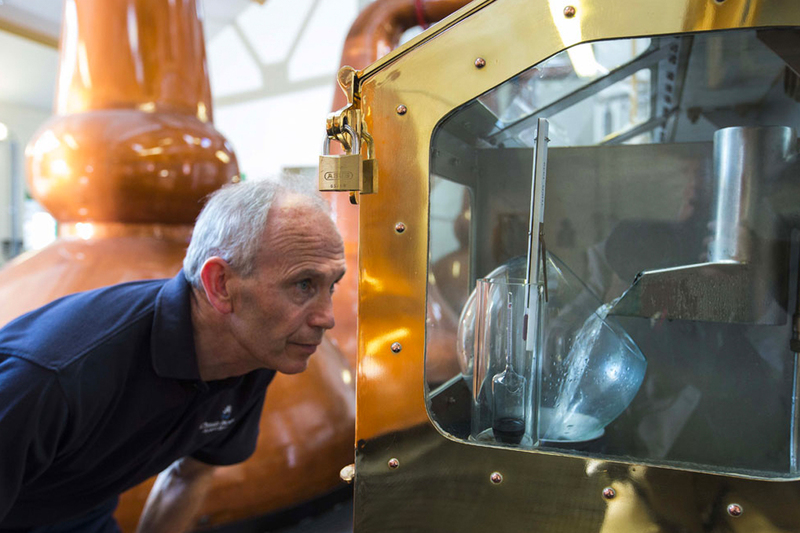 Dalwhinnie is a prime example of how the choice of condenser impacts the spirit. In the late 80s and early 90s, the high-altitude distillery replaced its worm tubs with shell-and-tube condensers. It had a disastrous effect on Dalwhinnie’s new make, which became unrecognizable. Fortunately, the distillery reversed course, and its big wooden worm tubs proudly welcome visitors as they arrive. The shell-and-tube condenser found its way into Scottish whisky distilleries in the late 19th century. Like the worm tub, its name is perfectly descriptive. Roughly 100 small copper tubes fill a big copper shell. Cold water flows through the small tubes, and upon contact, the alcohol vapor liquefies. Distillers can play around with the temperature of the cooling water. A higher temperature means slower condensation, which equals more copper contact, and results in a purer new make. Spirits produced from a shell-and-tube condenser are usually lighter in character, although there are always exceptions to the rule. 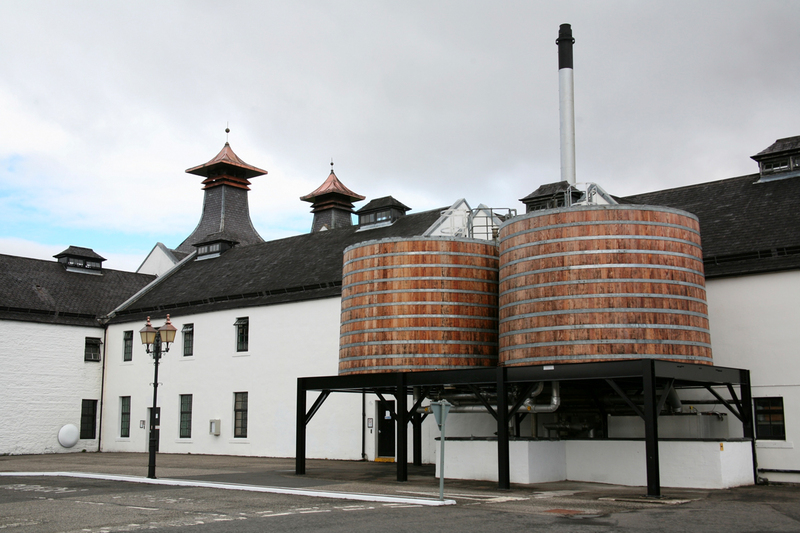 For example, Benromach places its shell-and-tube condensers outside of the warm still house, which is common for worm tubs (as they are too big to be housed inside anyway), but not so much for condensers. The cold outside air helps speed up the condensation, which gives the spirit more weight. Right now only sixteen Scottish distilleries use worm tubs, among them are much-loved producers like Mortlach, Springbank, Talisker and Pulteney. A few of the new distilleries that are currently being built, or have just started up production, use worm tubs. Ballindalloch is one of them. This Speyside distillery is aiming to make a classic, old school style of whisky. Ardnahoe, the new Hunter Laing project on Islay, is another. New, yet old, is Rosebank. 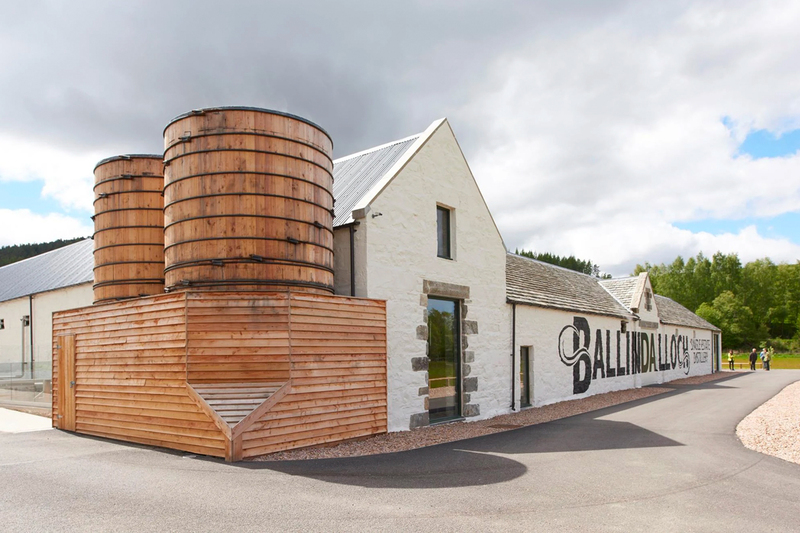 Closed for over 25 years, this Lowland distillery plans to feature worm tubs as an integral part of its production when it reopens. Then there’s Brora, another iconic distillery about to be revived. It too used worm tubs to condensate spirit vapors, and will do so again once it reopens in 2020. Worm tubs, while long overtaken by shell-and-tube condensers, will always have their place in the production of Scottish whisky. New Booze News: Col. E.H. Taylor, Jr., The Glenrothes, The Balvenie, and More!